The street light outside Emmy’s window was glowing softly in the dusky air as I closed her blinds and tucked her in. I could still see her little babyish cheeks in the dimly lit room as I bent down to kiss her, but the light was fading fast. I love these softly glowing springtime evenings. The air is still cool and brisk. Full darkness is delayed, but not so much that the girls’ bedtime is disrupted. The girls and I snagged some books at our school district’s literacy fair book exchange on Saturday. Emmy went for a cat book, of course, and Lily zoomed in on a Cam Jansen book. 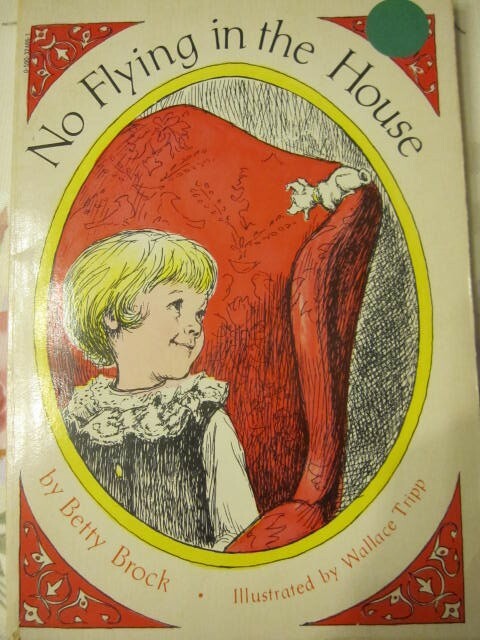 I brought home No Flying in the House by Betty Brock. I’ve never heard of it before, but the cover was just too entrancing. The little girl is named Annabel, and she has a secret. Not only that, but she has a tiny dog protector who is only three inches long! What entranced you this weekend? I love children's books! My favorite when I was about 9 was "Peppermints In The Parlor" by Barbara Brooks Wallace. I think I checked it out of the library about 20 times! I haven't heard of that book! I'll have to see if our library has it! That's so cool that you have a hawk in your yard! Let us know how the book is. It looks cute! It does look cute! I'm looking forward to reading it! I love the cover of that book! And how can you not like a book about a girl called Annabel. It sounds great. I saw the snowdrops covered in snow on Saturday. I thought they were so pretty and fortunately I had my camera handy! I think that really entranced me. Your picture is really pretty–and entrancing! We went to visit my sister in NJ this weekend and took the kids to a zoo! We were also entranced by a nighttime walk to see the NYC skyline. I just so loved that it was warm enough to walk at night. Today is 68 and sunny and I can't seem to stay inside..
My recent post Existential Triumph. The cover of that book is like a time machine! Doesn't it just take you way back? Yes, it does! Maybe that's why I like it so much! I think a hawk would scare me too being that close to the house. There are eagles that fly near our house and they take care of the field mice. I just afraid one of these days they will go after the dogs when they are wandering around outside. Fortunately, we don't have any pets. I'd be nervous, too, if we had a little dog! 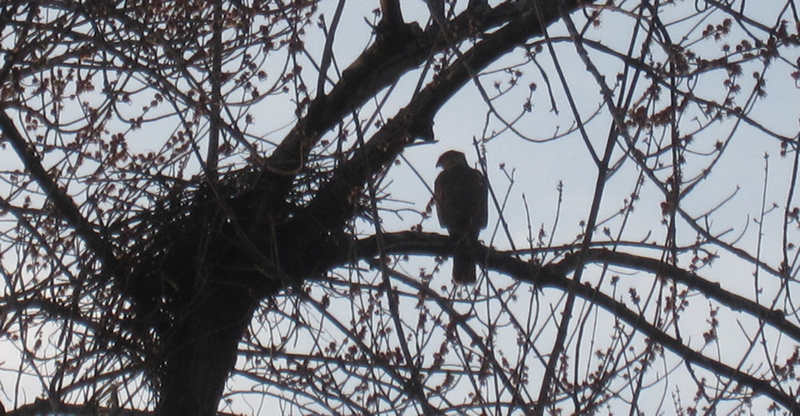 We have a hawk that frequents our back yard, too! It's so cool! I've heard of that show, but have never seen it! Hm, I'll have to look into it!